The HAVER & BOCKER Machinery Division has its headquarters in Oelde, Germany and is, in addition to the Wire Weaving Division, one of the two divisions of the HAVER & BOECKER OHG. The Machinery Division and its various subsidiary companies are specialised in developing and marketing systems and plants for filling and handling loose, bulk products. 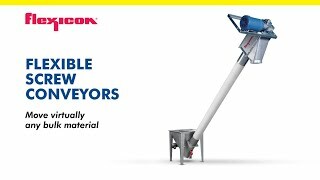 Belonging to the product line are packing and loading systems for powder-type and granulated products such as cement, dry mortar or granulates, screening machines for classifying gravel, crushed stone, sand, and ore, and packing machines for filling food and feed products. The product range also includes filling stations and entire filling lines for liquid and pasty products, stirring systems and mixers, palletizing and loading systems, ship loading and unloading systems. With 2550 employees worldwide, HAVER & BOECKER today is a leading manufacturer of packing technology for loose, bulk products. In addition to Oelde, Münster, Hamburg and Bad Oldesloe, the company is also represented by manufacturing facilities in France, USA, Brazil, Canada, China and India. Customer sectors: cement, building materials and minerals industry, limestone and gypsum industry, chemicals industry, food and feed industry, stone and earth industry, fertilizer industry, paint and lacquer industry, petrochemical industry, power plant industry, aluminium industry. Market position: Broadest product range for packing loose, bulk materials, technology leader in the sector of valve-bags.